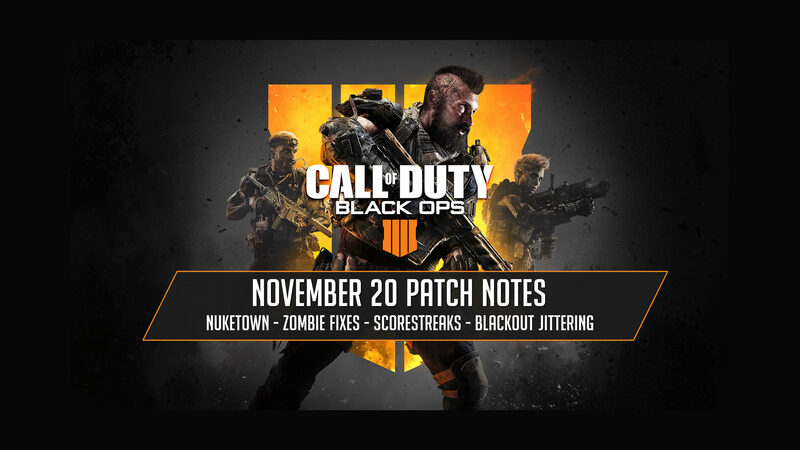 Treyarch has officially released the patch notes for the November 20, 2018 update to Call of Duty Black Ops 4. The update contains multiple changes and improvements to the multiplayer, zombies and blackout game types across all platforms. The patch went live at 10:00 AM PST on November 20, 2018 on PC, Xbox One and Playstation 4. In total the November 20 (v1.07) update is around 10 GB. The update includes multiple bug fixes and improvements listed below along with enabling the Black Market and Nuketown on PC and Xbox One. Added a new featured playlist – TDM 100. This game mode is basic team death match but the score goes to 100 instead of 75. Fixed screen jittering when moving and changing attachments or healing.